A lot of times it has been witnessed that the Ayurvedic remedies prove to more effective, proffering amazing results. The best part about using them is that they bear absolutely no side effects. One such proven remedy is jojoba oil for hair growth. Jojoba oil is not only an exceptional skin moisturizer but it also works wonders for treating your hair and scalp. Women all across the globe are successfully using it in order to eliminate their scalp problems and tweak the health of their hair. In the following post, I have assembled together few effective methods in which the nourishing jojoba oil improves the hair and scalp. But before that let’s discuss what exactly jojoba oil is. A shrub called ‘Simmondsia Chinensis’ is the ultimate source of jojoba oil. Grown in the arid areas of the United States, this is not actually an oil but a wax ester that closely mimics the natural sebum that is produced by the scalp. Jojoba oil is a great remedy that seeks to nourish the hair and the follicles, maximizing the rate of hair growth. The essential antifungal properties help in getting rid of all dandruff, dead skin layer, and dirt thereby leaving behind a fresh, clean and deep hydrated scalp. Jojoba oil is rich in essential nutrients that prove to be very fruitful for your hair. The high concentration of iodine helps to fight against bacterial and other fungal diseases. The vitamin E penetrates into the scalp and hydrates the hair. On the other hand, the presence of vitamin B helps to retain this moisture into the hair. Jojoba oil offers numerous benefits for treating the dry skin and scalp. Owing to its natural healing properties, it is quite popular among both the dermatologists as well as the cosmetologists who recommend the widespread use of this essential oil. It endows the natural vitamins to your skin and makes it wholesome. It has the propensity to rid your scalp of all the flakes that accumulate and block your pores. These blockages are predominantly the reason for dry skin. Our skin essentially contains a natural oil called sebum. When this sebum can’t come to the surface, the skin turns dry. Jojoba oil mimics the skin sebum sinks it into your dry scalp and cleans all the debris from under the skin. The pores get open, and the sebum starts to come back on the surface of the skin. It has been seen that excessive dryness of the scalp augments dandruff and the rate of hair loss. 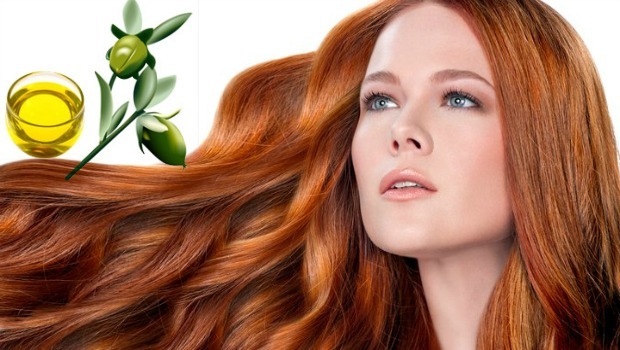 Jojoba oil has the immense ability of deeply moisturizing the hair without causing any residue. It also succours quick hair cell reproduction. You can apply it on your scalp and wait for a while before washing it off to discern multiple benefits. The sebum oil that is produced and excreted by your sebaceous glands provide for a protective coating over your hair and scalp. Since jojoba oil is very similar to this sebum, it performs the natural oil’s job of keeping the scalp moisturized. This keeps the sebaceous glands as well as the hair follicles salubrious by fighting their tendency to generate too much or sometimes too little sebum. Sometimes your scalp pores become clogged due to the accumulation of excessive sebum or dirt. This greatly muddles with the health of the hair follicles that go jammed. Jojoba oil having the same molecular structure as sebum is readily accepted by the scalp. It helps to dislodge all the clogs, cleaning the scalp and keeping it safe against external substances. Jojoba oil has the essential antimicrobial and anti-inflammatory properties that help to protect your scalp from all types of infections and inflammations. It has a high concentration of anti-oxidants that fights against free radicals that may cause heavy damage to the hair and scalp. A lot of people experience normal hair fall that is losing around 100 strands per day. However, if the number increases, it a major reason for worry. Studies reveal that clogged pores are amongst the primary reasons for experiencing hair fall. The salubrious jojoba oil ensures that your scalp is clean and free from all clogging that ensures a healthy hair growth. The upper layer of your hair shaft is made up of cuticles. When these cuticles get damaged, they rise up, leaving to scalp completely vulnerable to dryness. Jojoba oil treats these damaged cuticles and at the same time forms a protective layer coating on your hair shaft, locking in all the moisture. This moisture keeps your hair conditioned and hydrated. The moisturizing properties of jojoba oil help to condition your scalp and hair follicles, preventing all the dryness that leads to flaking and dandruff. Also, it prevents any scalp irritation or inflammation keeping it healthy. The acute conditions of the scalp such as eczema and psoriasis that lead to dandruff can be successfully avoided by using the adroit jojoba oil. Being highly organic, jojoba oil serves as the ideal hair serum that can be used to calm the excessive dryness in your hair. 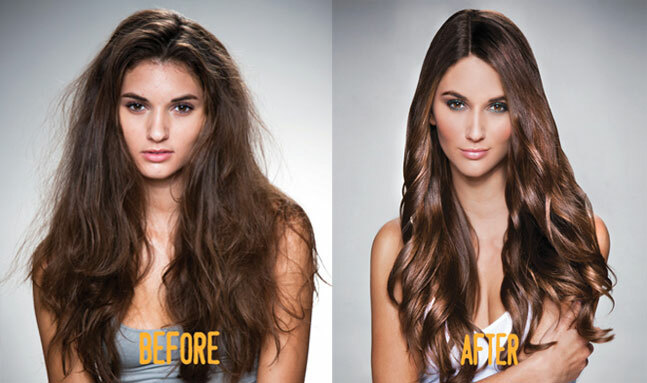 It helps to keep your hair shiny throughout the day as its very extremely light weight and non-greasy in nature. Acute scalp problems such as telogen effluvium damages the hair follicles causing excessive and premature hair fall. Jojoba oil stimulates the hair follicles and encourages the regrowth of hair. It also helps to thicken the bleak and thin hair. Jojoba oil being an emollient treats the damaged spots on the scalp and also controls the hair frizz and dryness. It is a great idea to regularly massage your scalp with this oil as it improves the blood circulation by providing the required nutrition to the hair follicles. The dormant follicles are stimulated that helps in enhancing the hair growth making them thick and shiny. Just like all other oils, jojoba oil too can be used in numerous different ways. Read on to find some of the effective ones that can help you flaunt a healthy mane. This is similar to applying other oils where you can thoroughly massage your hair and scalp with this before washing it out. For best results, you can mix jojoba oil with other essential oils such as avocado oil, almond oil, etc. This treatment will help you to deeply hydrate your scalp and unblock the pores. You can apply the oil for about 30 minutes before washing it off. Some people also prefer to leave it overnight in order to fully soak the scalp and hair and wash it the next morning. You can try this out to see if it works for you! Jojoba oil is obtained in a liquid form that makes it extremely easy to be used with shampoo or a conditioner. When it is mixed with shampoo it helps to remove all the excess sebum that clogs your scalp, thus promoting hair growth. All you need to do is take 3- 4 drops of jojoba oil and mix it with your shampoo or conditioner in order to protect your hair from breaking or becoming dry. It is important to understand that different people have different hair types and this oil might not work in a similar way for everyone. Well, this doesn’t work for everyone, the primary reason being jojoba oil is heavy, and it may leave your hair looking extremely greasy. But if you are not worried about that, then this is one technique that you should definitely try. All you have to do is after shampooing your hair, just take 2-3 drops of jojoba oil on your palms and apply them to the ends of your hair that are still wet after washing. This is great when it comes to treating the dry ends and split ends. Also, it will save your hair from breakage. Note: It is important to note that if after applying the jojoba oil on your ends, they feel crunchy, you can discontinue doing it. This simply means that your hair is not supportive of this type of oil. The prime consideration that should be paid attention to while choosing jojoba oil is that it should be organic. Yes, this is predominant as non-organic items might contain pesticides or other harmful substances that may cause a lot of damage to your hair or skin. Next thing is to check if or not the oil is cold pressed. This is also known as refined oil and is the purest stuff. There are multitudinous brands of jojoba oil that are available in the market today. 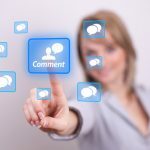 It may become a cumbersome task to choose the right one that proffers immense benefits. All you can do is try out a particular brand once before blindly going for it. As the properties of hair and skin, vary with people, it is quite possible that a particular brand that might do wonders for your friend does not work for you at all. 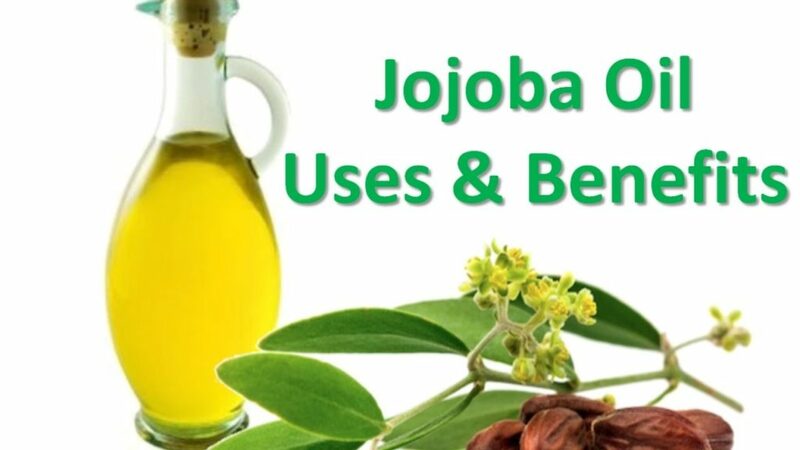 Now you can easily locate jojoba oil in the market owing to its widespread use. In case you are hard on luck in finding it in the market, you can visit an aromatherapist for the same. Also, nowadays you can find a number of products in the hair care line that include jojoba oil as their prime ingredient. If you plan to buy any such product, just make sure to run a quick look through the ingredients list at the back of the label. So, include the rich jojoba oil in your hair care regimen and give your hair a new life. Try out one of the numerous ways of using this oil and make your hair beam with shine. Hello, great blog. I have used Jojoba oil on my ends before I blow dry my hair, and yes it made my ends a little to oily. I used only 2 drops, and still to oily. It made my ends look really greasy. What oil would you use instead of jojoba oil, so it doesn’t have that look, something that might soak in better. I would not leave the jojoba oil in the hair at all, even on the ends. It’s great for a pre-shampoo treatment. Since I have fairly long, thick and very naturally curly hair, which also tends to be dry, I use two tablespoons of jojoba oil for a pre-shampoo treatment, massage it into my scalp, put a plastic bag over it, and then leave it in there for 30 minutes to an hour, and then shampoo and condition my hair as usual. It works well. Hope I’ve been of some help here.